Free Shipping Included! 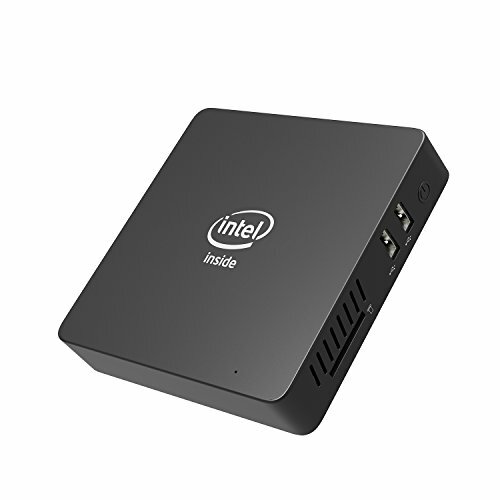 Windows 10 Mini PC, 64-bit Intel x5-Z8350 (Up To 1.92 GHz) HD Graphics, DDR3L 2GB/ 32GB eMMC/ 4K/ 1000M LAN/ 2.4/5.8GHz WiFi/ BT 4.0/ Fanless Mini Desktop [Dual Output - VGA/HDMI] (2GB Ram.) by Plater at Pacs BG. MPN: Z83-W-New. Hurry! Limited time offer. Offer valid only while supplies last. Support Dual Screen Display: equipped with dual output display ports (VGA & HDMI). 4K ultra HD(UHD) video playback, delight in producing stunning visuals, native 4K output & multi-display. Adopts Windows 10 Home, Intel x5-Z8350 (2M Cache, up to 1.92 GHz) and Intel HD Graphics, ideal for work, play and entertainment, providing awesomely fast start-up, seamless web browsing, multi-tasking and compatibility with a vast array of office productivity software. If you have any questions about this product by Plater, contact us by completing and submitting the form below. If you are looking for a specif part number, please include it with your message.